I have been working with my doctor to eat a more healthy diet to help with my arthritis and colon inflammation. There is so much evidence to show how food impacts our health. While I know this, it is still hard to stick to just healthy foods. I love to eat, even my travel highlights are often about the foods, so I am definitely not "all in" on eliminating the negative foods. But, as my doctor says, every little bit counts, so my goal is to find "healthy" foods that taste great and eat more of them and eat less of the other foods. That's why I was excited to share this article about the health benefits of certain foods with 3 anti-inflammatory beverage recipes that are perfect for Summer. 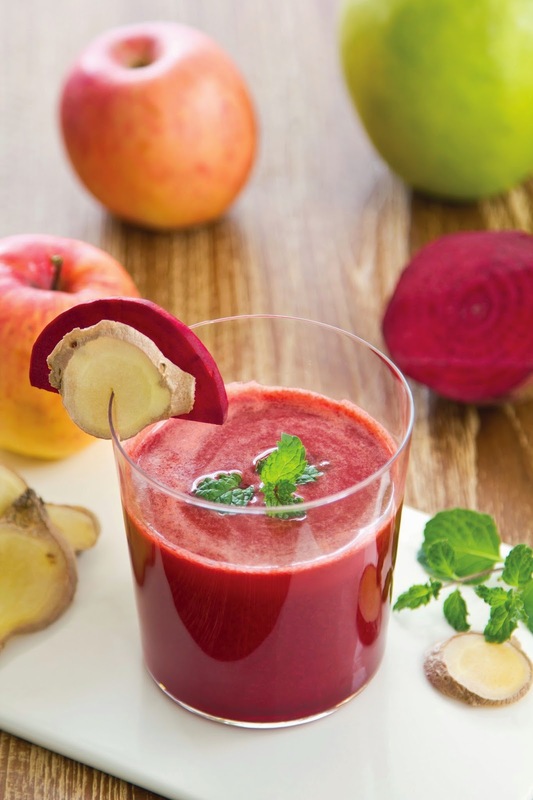 It’s time to embrace the changing season and cleanse and rejuvenate our bodies with lighter foods, juices and smoothies, says nutritionist and juicing pioneer Cherie Calbom, MS. (“The Juice Lady”). What’s considered healthy and unhealthy seems to change on a regular basis, which is why it’s helpful to recognize further studies that confirm previous findings. Most recently, a study by Georgia State University microbiologist Benoit Chassaing has further confirmed the destructive properties of an inflammatory diet. Researchers found that common additives in processed foods including ice cream, margarine, packaged bread and many more may promote the inflammatory bowel diseases ulcerative colitis and Crohn's disease as well as a group of obesity-related conditions. 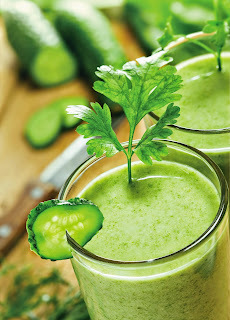 “It’s not only intestinal problems; low-grade inflammation caused by food additives has been shown to contribute to weight gain and blood sugar control problems, as well as a host of other chronic disease,” says Calbom, author of “The Juice Lady’s Anti-Inflammation Diet”, which offers healthy meal options, smoothies and robust juice recipes to help readers live an anti-inflammation lifestyle. Healthy juices and shakes are a convenient way to reduce inflammation, revitalize your cells and lose some of those winter pounds. “Yes, you can lose weight on the anti-inflammation diet and rejuvenate your body,” says Calbom, who offers just a few of her recipes and discusses their health benefits. Beets contain unique phytonutrients called betalains, which have been shown to provide antioxidant, anti-inflammatory and detoxification effects. Berries help prevent damaging effects of free radicals and inflammation by turning off the inflammation signals triggered by cytokines and COX-2s, making them an ideal part of your diet. Cherie Calbom holds a Master of Science degree in whole foods nutrition from Bastyr University. She is author of 26 books including The Juice Lady’s Anti- Inflammation Diet (www.juiceladycherie.com), The Juice Lady’s Big Book of Juices and Green Smoothies, The Juice Lady’s Turbo Diet, Juicing, Fasting, and Detoxing for Life, The Juice Lady’s Living Foods Revolution, The Complete Cancer Cleanse, and Juicing for Life with over 2 million books sold in the U.S. and published in 23 countries. She has worked as a celebrity nutritionist with George Foreman and Richard Simmons, and has appeared on numerous radio and TV shows and in scores of magazine articles. She appeared on QVC for more than 13 years with the George Foreman grill. 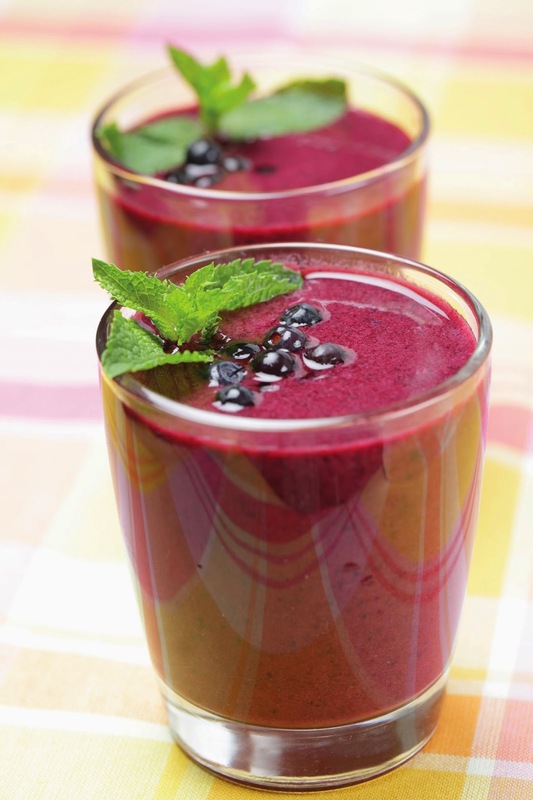 Known as “The Juice Lady” for her work with juicing and health, her juice therapy and cleansing programs have been popular for more than a decade. Disclosure: This site uses affiliate links that do not raise your costs, but do provide me with a commission if you click them to make a purchase. All opinions expressed are my own unless otherwise stated.